You want to escape from the everyday chaos and the big city noise? Come to Primorsko! 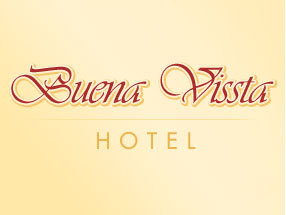 The newly opened hotel Buena Vissta will offer you the peace, comfort and romance of an unforgettable holiday at the South Black Sea coast. The hotel is located in the center of town, only 150 meters away from the southern beach, in close proximity of the Primorsko Aqua Park. The beauty and romantic atmosphere of the flawless garden for over sixty guests invite you to an extravagant lunch or a peaceful dinner. Our menu is rich in dishes of various cuisines, suitable for the style of the hotel.